Photo collages are loved by everyone because they can cache memories in indulging way. Personalized 6x7 inch photo collage with color stripe pattern wedding save the date square corner magnets are definitely going to win hearts. 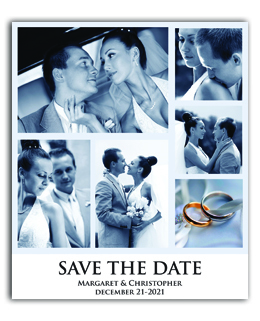 This magnet works as a wedding reminder, wedding memorabilia and a great refrigerator art. 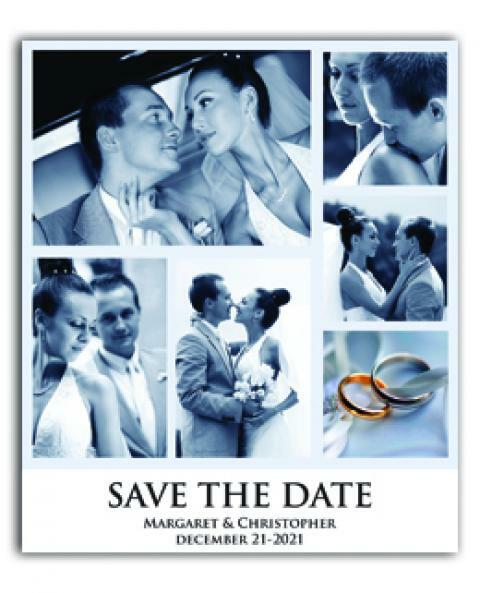 Custom 6x 7 inch photo collage with color stripe pattern wedding save the date magnet is enough to trigger a train of nostalgic memories within any viewer. Product Size: 6 in. x 7 in.